Entrepreneurship Essentials helps you turn an idea into a viable venture. Learn how entrepreneurs validate concepts through structured experiments, refine their business strategy, and raise the capital necessary to create value and grow their business. William Sahlman is a Baker Foundation Professor of Business Administration at Harvard Business School. He previously served as co-chair of the Rock Center for Entrepreneurship, co-chair of the School’s Entrepreneurial Management unit, chairman of the board for Harvard Business School Publishing, and Senior Associate Dean for External Relations. 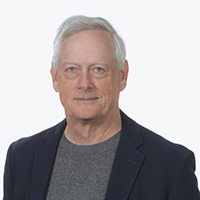 He is a widely published author of numerous articles and two textbooks, and has published more than 200 case studies on entrepreneurial ventures. Whether you’re a first-time entrepreneur with the start of an idea or are exploring entrepreneurship, learn the language of the startup world. Gain an overarching framework to evaluate opportunities, manage startups, and finance new ventures. See what it takes to be a successful entrepreneur and determine whether starting a business, or working for a startup, is the right path for you. Entrepreneurship Essentials consists of approximately 25 to 30 hours of material delivered over a four-week period. You can complete the coursework on your own time while meeting regular deadlines. Harvard Business School Online offers a unique and highly engaging way to learn vital business concepts. Immerse yourself in real challenges faced by seasoned leaders across a variety of industries, including serial entrepreneur John Osher; Jennifer Hyman, CEO of Rent the Runway; and Scott Cook, founder of Intuit. Wrestle with the same issues they faced, while problem-solving and engaging with learners from around the world. Professor Sahlman’s careful observation of the best and brightest entrepreneurs over the last 30 years has given him a perspective and insightfulness that few others can rival. He keeps his students eager to dissect and analyze the situation and range of solutions. The People, Opportunity, Context, and Deal framework is now in the back of my mind. Also, I have learned how to quickly assess and network with other companies and panelists at the hundreds of meetup events I've attended. 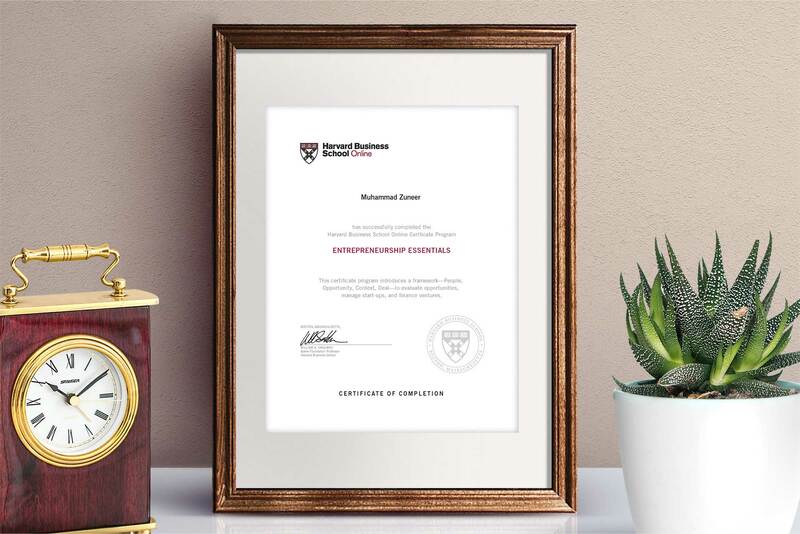 Enroll today in Harvard Business School Online's Entrepreneurship Essentials course.